Hello my people! I have been having a hard time finding my way back to blogland. I have somehow managed to neglect this lovely outlet the past few weeks. But I am just bursting at the seems to share my latest haul from ACMoore. I went there by chance and walked out with great products. Ok so I have been seeing this mini kit all over the web and thought hmmm kinda cute. Well let me say, when I opened up this kit I was very happy with it. The colors are slightly muted and some of them even have a misted look to them. I can tell I am going to have a tough time choosing which card to use in my Project Life album. 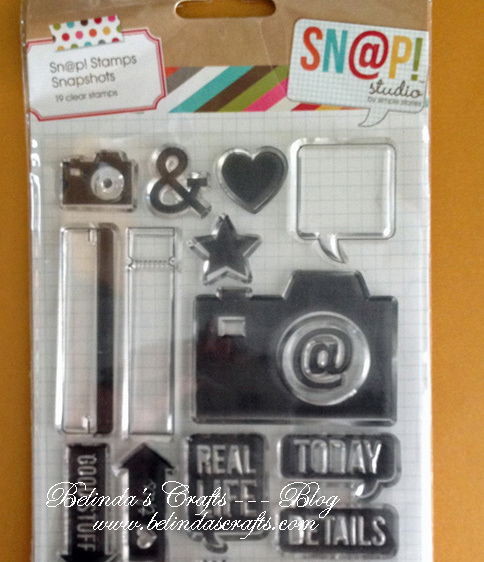 Now the funny thing is that once Project Life blew up and everyone wanted the products, all sorts of companies jumped in and started developing products to work for this type of scrapbooking. So it’s great because it opens up to all sorts of variety and designs. But they don’t all fit perfectly in the original Becky Higgins page protectors. But you know what? I could not pass up these. I will make them work. These 3×4 card kits are from Snap!. Each kit has 48 double sided cards. The ‘love’ set has really cute cards with lots of hearts. They can be used for Valentine’s day and pretty much anything. Very versatile. The ‘Eveyday’ kit has a lot of reds, aquas and cute typewriters. I couldn’t resist buying them. 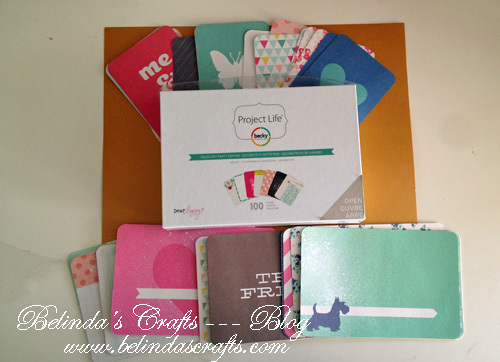 This Project Life Summer kit was so cute it too found it’s way to my shopping cart. The colors coordinate amazingly well with the Dear Lizzy kit. The pinks, and aquas make me happy and ok the clothesline is so stinkin’ cute that I am not even sure I will use it. I might just stare at it and put it in my hoard pile!! Ok now I know the camera icon was very big last year and to some old news but I just had to have this set. I will use it to make cute accents for my album and some of my own journaling cards. I will be sure to share my Project Life layouts as I complete them. I look forward to including these great products into my album. 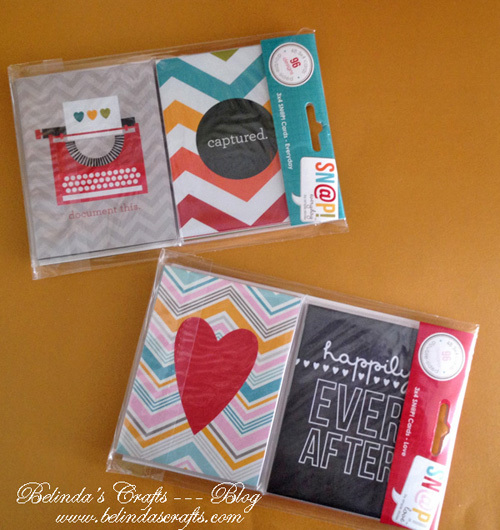 Filed Under: Belinda Tagged With: acmoore haul, Dear Lizzy Polka Dot Party Edition, haul, project life, Snap! Previous PostDownton Abbey is back!! You sound like one very happy girl right now!! Miss you! Hi Joan! I miss you too! I plan on coming to Wednesday’s crop. So we can play catch up. 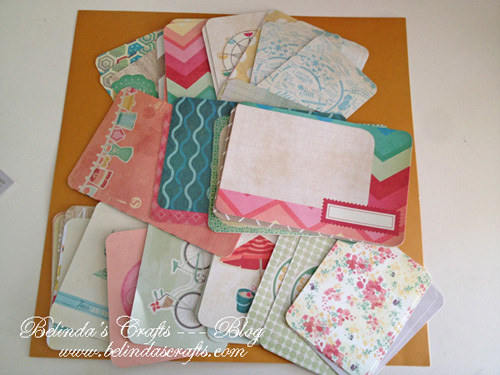 Wow – looks like you are ready to tackle your Project Life scrapbooking – you’ve got all the tools. 🙂 I cannot wait to see your pages. I’m lovin all those pretty colors in the kits that you got.